Rachel is based in Brisbane, Australia. She has been providing career development and career planning coaching for more than a decade. Rachel is a world-leading expert in using Acceptance & Commitment Therapy (ACT) within training and coaching, and she is the first person in the world to offer ACT training specifically for coaches. She has also written an e-book on Applying ACT to Work-Related Coaching. 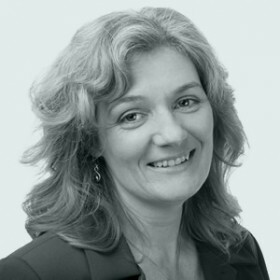 She also runs a successful consultancy providing facilitation, training and coaching to individuals and private and public sector organisations throughout Australia on topics related to leadership, wellbeing and success. Rachel qualified in medicine in London and practised as a consultant psychiatrist in both England and Australia until 2002 when she got burnt out and had her own career crisis. She left psychiatry and started her consultancy business. Rachel co-authors a blog on using values and mindfulness in the workplace (with Rob Archer and Paul Atkins). She is also currently writing a book on meaningful success. The book draws on both current research on success and happiness and also interviews with people who have achieved meaningful success themselves. Rachel also teaches on the Executive MBA program at the Graduate School of Business, Queensland University of Technology.